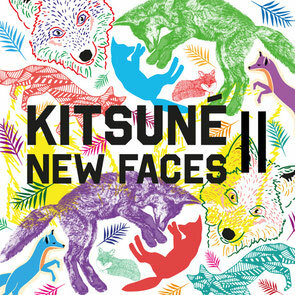 ‘Kitsuné New Faces II’ is the latest compilation of newcomers from the cool French label. Following in the footsteps of last year’s first edition, ‘Kitsuné New Faces II’ features 15 new artists that have only just started releasing music. From start to end, the album unveils fresh musical directions complimented with some catchy melodies. Having recently branched out in the coffee culture by launching its own brand of cafés, Kitsuné follows its global ascension by opening new clothing boutiques in Tokyo, New York, Hong Kong and Paris, and by keeping on developing its Kitsuné Club Night concept involving some of the artists and DJs who best represent the label. It’s out 23 February, check its mini mix below.